Everyone in the car will know exactly how fast the car is going, but is that a good thing? We didn't need proof that the new Porsche Panamera Turbo S E-Hybrid was incredibly fast. The car's 4.0-liter twin-turbo V8 pumps out 550 hp and the hybrid system brings total power up to 680 hp. With so much power, the car is able to hit 60 mph in just 3.4 seconds, besting the non-hybrid Turbo S by 0.2 of a second. This is basically the closest car that we have seen to a four-door 918. Thanks to a video from Autogefuhl, we can now get a glimpse of what that power translates to in acceleration and wonderful exhaust notes. The video also shows another unique feature of the car's entertainment system. 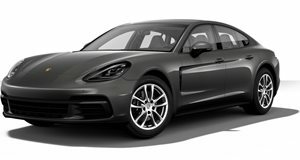 The Panamera's rear-mounted screen will show passengers information about the car's speed, G-force, tire pressure and more. The driver won't be the only one having fun. We've seen something similar on Ferrari cars, with a special display on the passenger side. This means that the passenger won't just be scared by the sensation of speed, they will be terrified when they see how fast the car is actually going. We can see a few downsides to this technology. For instance, what if you have your mother in the car? She will constantly nag you that you are driving too fast. We love this feature, but there may be a few instances where we would turn it off.